Embrace The Moment – Emaho! Once again yoga class has given me a gift! For some the gift might be preparing a delectable meal, painting a picture, running a marathon, writing an inspired sentence, or even having a very connected conversation with someone. For me today in yoga class it was about EMAHO! Emaho is a Tibetan invocation for auspiciousness; an expression of joy, wonder and amazement. How many times during a day do we embrace the moment? What an amazing practice this can be. 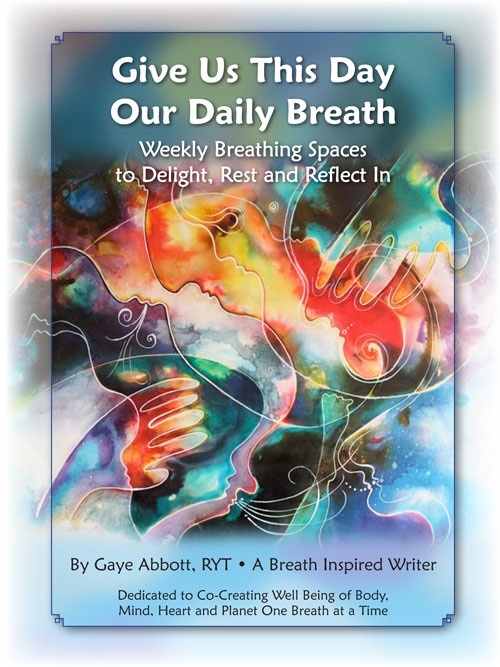 When it comes to the breath we can either use the breath to stay in the moment of an experience….or we can allow the breath to BE the experience. There is a distinction here. In the former we are using the breath as a focus to quiet the mind…or watch it as the case may be. In the latter our moment IS the breath – how it moves in the body, what is expanding and releasing, ….the actual joy and wonder we feel when we are breathing fully and enjoying every single second of the body of the breath. Let’s take this a step further. Instead of focusing on how we are breathing, how about focusing on the very miracle that we are simply breathing and ALIVE! Our attention often goes to the details of what is wrong in our lives, our bodies…or our relationships. What if we tipped that on its head so to speak and consciously decided to be thrilled to be right here, right now no matter what is going on! Experiment this week to see if simply loving the fact that you are breathing changes how you perceive the moments of your life. Might the food that makes its way to your taste buds delight you with its textures, colors, form and abundance. Might the simple act of walking have an entirely different impact on your consciousness. Or sudden immersion in a conversation totally giving the person that is speaking your undivided attention. Hold your hands in the air and allow your body to sway, undulate, jump, twist, be at rest to notes that mold their way into music that moves you. It is not so much about HOW your are doing things in your life…but that you are being within those moments with as much of your attention as you can possibly pour into them. Distractions are a plenty in this over stimulus life of ours. Can the fact that you are reading this now as a breathing alive person turn you on in a way that, up until now, you have avoided? As we age we may want to grab onto the moments and hold them to us – like a held breath. Or sometimes the moments are pushed away because of some aversion deep within that is resting in judgement and the past. Would you like to practice something different? 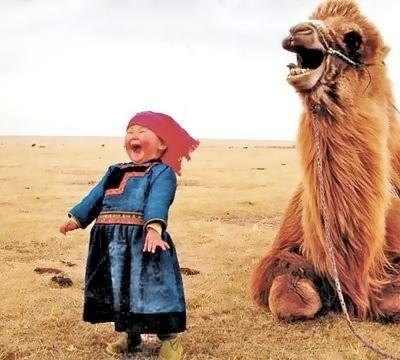 Mantra for the week: I am thrilled to be breathing right here, right now! That is all we have. EMAHO! Exapand it into everything – the light and the dark, the joy and the pain…. in your one wild and precious life! NOW, put your hands up in the air and….. 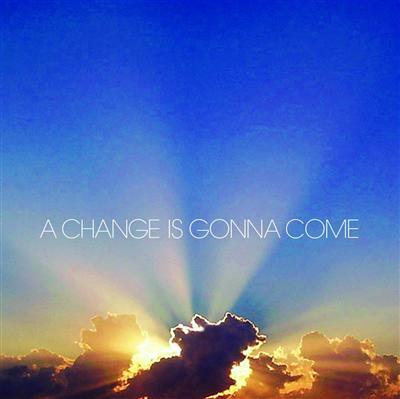 Millions of people all over the world know the song “A Change Is Gonna Come” first recorded by Sam Cooke in 1963. This song speaks to so many things – among them the hope for freedom of a people “enslaved” for so very long, the inevitable change that occurs in daily life, the connection and bond between people that can help to create change, as well as the intentions that lead to change. This is a deeply soulful song, and when breathed into quickly becomes alive and vibrant. By it’s very nature hopelessness, judgement and misunderstanding can be transformed into possibility, clarity and compassion within a few breath moments. This is what happened for me this past week when I found within me judgement and misunderstanding. These places within ourselves are particularly difficult to face, especially if we see ourselves as compassionate and aware most of the time. But trust me…they are there. A few months ago now I had an experience within the contact improv and free movement dance community that made me avoid a certain person and make a number of judgements about him that it turns out were not accurate nor compassionate by any means. In the name of supposedly “protecting” myself an assumption was made. These assumptions were based on projection and not on the truth of this particular person. It was through another that I learned about some disabilities that could have kept this man from ever even trying to move and dance….but instead he was there and “dancing” seeking joy, pleasure, and freedom just as all of us on the floor that night. In the moment that I learned the truth about this person compassion and understanding came flying in. In those breaths that held the clarity a deep change arrived within me. I, like anyone else does from time to time, fell into the error of making judgements based on assumptions. I was completely wrong about what I had judged. Within a few breath moments everything changed and compassion came roaring in. Wake up call? By all means yes! Our mind may create stories that are based on ours or others opinions, past experiences, or judgements, but where is the real truth? The real truth lies in the moments of breath that it takes to be willing to open awareness , to suspend judgement, and to really listen and observe from a place of openness and expanded heart.